POPULAR assemblies of all male citizens for law making and law enforcing purposes were an old Saxon institution in England. Every town or shire had its own; the assembly (later on, court) of the shire met twice a year; the Witan-a-gemote, at which all the males of the kingdom were to assemble, was convened once a year. In the course of time these assemblies came to be made up of representatives, but originally every male citizen was supposed to be present in person. The gilds of Operative Masons, like all other gilds of the period, also had their own assemblies. Much is made of these in the Old Charges but the references therein are so meagre and at times so confusing that to date it has not been possible to quite make out just how the Masonic assemblies were organized and managed. R.F. Gould was of the opinion that the "assemblies" referred to in the Old Charges were nothing other than the general assemblies just referred to, but G.W. 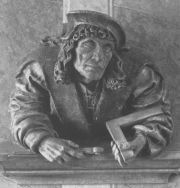 Speth and others of Gould's associates could not agree with him because they found so many evidences to show that Masons had their own craft assemblies like other gilds. It may well be that the Masons did have their own assemblies but held them at the same time and place as the general meeting of citizens in order to save time and inconvenience. For the present purpose it is not necessary to argue the point; the fact remains that Masons in old times had some kind of general, or central, assembly at fixed intervals at which matters appertaining to the Craft in general were taken up. As population increased and the machinery of government became more complicated these assemblies were discontinued, at any rate one would so judge from the scant records available. By the time lodges began to be made up of Speculative members it appears that no assemblies were held at all, and that lodges existed independently of each other, with no central governing authority over them. Each of these autonomous lodges could make Masons at its own discretion, and according to the old rules, so that it was not necessary, as it now is, for a group of Masons to first secure a charter before forming themselves into a lodge. Such is the picture we must keep before our eyes when we think of Masonry as it was in the beginning of the eighteenth century. Here and there, scattered about over the Kingdom, were independent lodges; in some cases the membership was wholly Operative, so that every member was engaged in the building trade; in other cases non-Operative members made up a portion of the membership, and in a few cases all of it. The general unity of the Craft was maintained by adherence to the old customs and by use of the Old Charges, which, in many cases one may suppose, functioned much as charters now do. It was in the midst of such circumstances that the first Grand Lodge was organized in London, 1717. William Preston, whose Illustrations of Masonry did so much to shape the popular conception of Masonic history, says that after the London fire several Masonic lodges were organized in London and that Sir Christopher Wren was a kind of Grand Master of them all, and when Wren had grown too aged to look after the affairs of the Craft a move was set under way to organize a Grand Lodge. Inasmuch as the records show that Wren was a member of the Lodge of Antiquity, and therefore in the Craft, there is nothing improbable in Preston's account, but Preston has been so nauch in doubt for his accuracy in matters of fact that one must let the point rest in abeyance. "1. At the Goose and Gridiron Ale-house in St. Paul's Church yard. "2. At the Crown, Ale-house in Parker's-Lane, near Drury-Lane. "3. At Be Apple-Tree Tavern in Charles Street, Covent-Garden. "4. At the Rummer and Grapes Tavern in Channel-Row, Westminster. "They and some old Brothers met at the said Apple-Tree, and having put into the Chair the oldest Master Mason (now the Master of a Lodge), they constituted themselves a Grand Lodge pro Tempore in Due Form, and forthwith revived the Quarterly Communication of the Officers of Lodges (called the Grand Lodge), resolv'd to hold the Annual Assembly and Feast, and then to chuse a GRAND MASTER from among themselves, till they should have the Honour of a Noble Brother at their Head. On St. John Baptist's Day, in the 3d Year of King George I, A.D. 1717, the ASSEMBLY and Feast of the Free and Accepted Masons was held at the aforesaid Goose and Gridiron Ale-house. "Before Dinner, the oldest Master Mason (now the Master of a Lodge) in the Chair, proposed a List of proper Candidates; and the Brethren by a Majority of Hands elected Mr. Anthony Sayer, Gentleman, Grand Master of Masons, who, being forwith invested with the badeges of Office and Power by the said oldest Master, and install'd, was duly congratulated by the Assembly who pay'd him the Homage." There were doubtless several Time Immemorial lodges in or about London, but either only four of these were invited to participate in the formation of Grand Lodge or else for some reason the names of other participating lodges were omitted from the records. According to the Engraved List of 1729 the lodge which met at the Goose and Gridiron was constituted in 1691. This old lodge made several removals after 1717, and once or twice changed its name; it moved to Mitre Tavern in 1768 and commenced to call itself Lodge of Antiquity, No. 1. This lodge was neither large nor influential until in 1774 it had the singular good fortune to elect as its Master the famous William Preston, who gave it prestige and power. When all lodges were re-numbered after the Union of the "Antients" and "Moderns" Antiquity was unjustly given rank No. 2, the precedence having been granted to a lodge formed under an "Antient" charter in 1735. The second of the "four old lodges", which was meeting at the Crown Tavern in 1717, lacked vitality from the beginning; after moving about from place to place it died out entirely in about 1736, and was struck off the engraved list in 1740. In 1752 a number of brethren, none of them having been members of the lodge originally, petitioned that it be resuscitated, but inasmuch as Grand Lodge did not deem them able to carry on their application was rejected. The third lodge among the old four met in Apple-Tree Tavern, in which place the first Grand Lodge was planned. Mr. Anthony Sayer, first Grand Master, was a member of this body. It also moved about, and in 1723, so we are told by Anderson, received a new charter, why, it is impossible to say. For some reason, perhaps because of this, it was in 1729 shifted down the list to eleventh place. In 1740 it was moved up to tenth place, and in 1756 was given sixth place. In 1768 it changed its name to Lodge of Fortitude, and in 1818, after uniting with Cumberland Lodge (organized in 1753), it adopted the title Fortitude and Old Cumberland Lodge, No. 12. "From 1717 to 1736, original No. 4, which became No. 3 in 1729 and No. 2 in 1740, was the premier Lodge of the period of the Revival. It is considered probable that the members of Nos. 1, 2 and 3 were composed for the most part of working masons and brethren of the artisan class, and those lodges were operative lodges, while No. 4 may be considered the speculative or gentleman's lodge par excellence, and all the leading men in the Craft in the early days sprang from it. While the brethren belonging to the other three old Lodges were unimposing both as to number and social position, No. 4 had a roll of seventy members, and among the persons of rank and Masonic eminence belonging to the society were the Duke of Richmond, who established the Committee of Charity, Lord Paisley, the Duke of Queensberry, Lord Waldegrave, Sir Richard Manningham, Count La Lippe, Baron des Kaw, Sir Adolphus Ongleton, Earl de Loraine, Sir Thomas Prendergast, Lord Carmichael, Count Walzdorf, Marguis des Marches, Mr. William Cowper, Grand Secretary, and Bros. George Payne, Desaguliers and James Anderson. "But the restored Old Horn Lodge as an independent body failed to recover its former prestige and prosperity, and after a further twenty-three years of abortive endeavour, it appeared to be on the verge of extinction. But in 1774 the Somerset House Lodge, which had been formed by Bro. Dunckerley on H.M.S. Prince in 1762, removed to H.M.S. Guadeloupe in 1764, revived at a 'Private Room, Somerset House,' in 1766 and numbered 279 in the List for 1767, was in a flourishing condition. Its list of members included the names of such notable Masons as James Heseltine, William White, James Galloway, Rowland Berkeley, Rowland Holt, Hon. Charles Dillon, the Duke of Beaufort and the Duke of Buccleuch. It was a liberal and regular subscriber to Grand Lodge Charities, its influence was powerful in the Grand Stewards' Lodge, and its founder, Dunckerley, exercised a positive genius in Masonic generalship and organisation. The Lodge in 1774 possessed every enviable attribute with the exception of antiquity, and that advantage it acquired by absorbing the original number and immemorial constitution of the Old Horn Lodge which, with its roll reduced to fifteen members, was then creeping to collapse." "Brother Sayer likewise attended to answer the Complaint made against him, and after hearing both parties, and some of the brethren being of Opinion that what he had done was clandestine, others that it was irregular only, and the Lodge was of opinion that it was irregular only; whereupon the Deputy Grand Master told Bro. Sayer that he was acquitted of the Charges against him and recommended it to him to do nothing so irregular in the future." Bro. Sayer's star was evidently in eclipse. During or shortly after 1733 he became Tyler of Old King's Arms Lodge, No. 28. Shortly thereafter he received charity from this lodge. He died in 1742, receiving a Masonic interment at which a number of distinguished Masons were present. It has been conjectured that Bro. Sayer may have been one of the old Operative Masons who never became a whole-hearted supporter of the new regime; if so, this may explain his irregularities. In any event his conduct shows that in its early years the new Grand Lodge met with many difficulties from within as well as from without, and that the new order of things had to win its way against the feeling that its very existence was an innovation in the ancient methods of the Craft. Bro. George Payne, the second Grand Master, proclaimed June 24, 1718, was a man of different stripe; from his activities one may guess that unlike Sayer he was one of the most zealous leaders in the work of re-organizing the Craft from an Operative basis to a Speculative one, and there is no doubt but that to him Masonry is indebted more than one can say. Of his private life little is known save that he was a Secretary to the Tax Office and of some substance. His popularity among the brethren is shown by their electing him Grand Master a second term in 1720, to succeed Dr. Desaguliers, of whom more anon. According to Dr. Entick it was Payne who first interested the English aristocracy and nobility in the Order, which, if the statement is well founded, was in itself sufficient give him a great name in our annals in view of the farreaching results that ensued when a "noble brother" became placed "at the head" of Grand Lodge. Payne was especially interested, it would appear, in readjusting the old constitutions to the new uses of the re-organized Fraternity, and it was he who made, in 1720, the first draft of the General Regulations afterwards incorporated, with some alterations, in Anderson's Constitutions of 1723. He was faithful and active up to the very end of his life and served as a member of the committee appointed to have charge of the revision of the Constitutions made in 1756. "Att Maries Chapell the 24 of August 1721 years - James Wattson present Deacon of the Masons of Edinr., Preses. The which day Doctor John Theophilus Desaguliers, fellow of the Royall Societie, and Chaplain in Ordinary to his Grace James Duke of Chandois, late Generall Master of the Mason Lodges in England, being in town and desirous to have a conference with the Deacon, Warden, and Master Masons of Edinr., which was accordingly granted and finding him duly qualified in all points of Masonry, they received him as a Brother into their Societe: '"
Sept 29, 1721. "His Grace's Worship and the Lodge finding Fault with all the Copies of the old Gothic Constitutions, order'd Brother James Anderson, A.M., to digest the same in a new and better method." Dec. 27, 1721. "The Duke of Montagu appointed 14 learned Brothers to examine Brother Anderson's Manuscript, and to make Report." March 25, 1722. "The Committee of 14 reported that they had perused Brother Anderson's Manuscript, viz., the History, Charges, Regulations, and Master's Song, and after some Amendments had approv'd of it; Upon which the Lodge desir'd the Grand Master to order it to be printed." "Bro. Doctorr Anderson, formerly Grand Warden, presented a memorial Setting forth, that whereas the first Edidon of the General Constitution of Masonry, compiled by himself, was all sold off, and a Second Edition very much wanted; and that he had spent some Thoughts upon Some Alterations and Additions that might fittly be made to the same, which was now ready to lay before the Grand Lodge for their approbation if they were pleased to receive them. "It was Resolved Nemine con that a Committee be appointed consisting of the present, and former Grand Officers, and such other Master Masons as they should think proper to call on to revise and compare the same, that when finished they might lay the same before the Grand Lodge ensuing for their approbation. "He further represented that one William Smith, said to be a Mason, had without his privity or Consent pyrated a considerable part of the Constitutions of Masonry aforesaid to the prejudice of the said Br. Anderson it being his Sole Property. "It was thereupon Resolved, and Ordered That every Master and Warden present shall do all in their Power to Discountenance so unfair a Practice, and prevent the said Smith's Books being bought by any Members of their respective Lodges." At this remove in time it is almost impossible for us to avoid reading back into those early events our own ideas of Freemasonry, but it is pretty certain that the few brethren who first met informally in the Apple-Tree Tavern in 1716, and then again in a more formal manner at the Goose and Gridiron Tavern in the following year, had no far-reaching plans wherewith to bring into existence a world-wide fraternity. Some of them, like Sayer perhaps, had no thought save to place the old Craft on more secure foundations, leaving it unchanged in its nature; others, it may be, had schemes for a new order of things; but it is most probable that the majority were interested only in the affair of the moment and were content to let things take their course. In any event those brethren, to whom we look backward with an interest that would now amaze them could they know of it, builded better than they knew, so that as a result of their efforts there are today some millions of us over the world bound together by the Mystic Tie. The old Freemasonry, in which there had long been a mixture of Operative and Speculative elements, was once and for all made wholly Speculative, though many of the old usages were retained; a new form of organization was devised which time has tested to the full; and from some now unknown fountain of genius there was brought into the world an art and a philosophy of life that today attracts the best and wisest. Of these things we can be certain, even if the actual course of events renaain obscure, and of these things we can be proud, for there have been few more epoch-making events in the last five hundred years than the establishing of the first Grand Lodge in London, 1717. Accepted, 10; Anderson, 57; Antiquity, Lodge of, 65; Book of Constitutions, 112; Desaguliers, 207; England, 242; Freemasonry, Early British, 283; Gilds, 296; Grand Lodge, 306; Grand Master, 307; Hall, Masonic, 314; Lodge, 449; London, 452; Preston, William, 579; Revival, 622; Speculative Masonry, 704; Wren, Sir Christopher, 859. Ars Quator Coronatorum. Author's Lodge Transactions, I, II, III. Builders, The, Newton. Concise History of Freemasonry, Gould. Constitutions of the Freemasons, Anderson, 1738 edition. Evolution of Freemasonry, Darragh. Four Old Lodges, Gould. Grand Lodge of England, The, Calvert. History of Freemasonry, Gould. History of Masonry, Findel. Mackey's History of Freemasonry, Clegg. Minutes of the Grand Lodge of England, edited by Songhurst. National Dictionary of Biography. New Encyclopedia of Freemasonry, Waite. Origin of the English Rite, Hughan. Preston's Masonry, Oliver. Short Masonic History, A, Armitage. Story of the Craft, Vibert. Tradition, Origin and Early History of Freemasonry, Pierson.